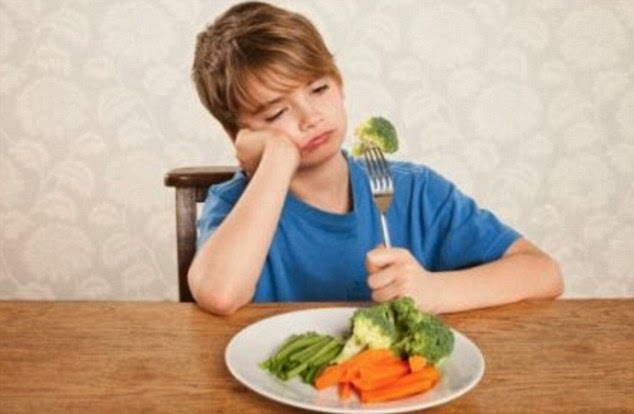 Any parent knows from experience that it's no easy task and often a constant struggle to get your children to eat their vegetables. Especially with my 4 year old. He is a serious picky eater. The only vegi he will willingly eat is peas. However, I unexpectedly won my vegetable battle with a simple home solution. I began making simple smoothies with hidden vegetables inside. The great thing about smoothies is my children love them and ask for them every day. It the ,they believed they were enjoying ice cream for quite a while. I make my smoothies pretty thick and then put them in a bowl, give them a spoon, and they think they have are having a delicious ice cream treat. Making smoothies is a very cheap and easy concoction to make at home in less than a minute. Besides being quick and easy, the kids are getting there vegetables down without a struggle. For the convenience, I buy the frozen fruit chunks in the freezer section at the store. Besides the great price of the frozen fruit, it easily allows you to stock up and not worry about how quickly they will rot. Along with the frozen fruit, I purchase some frozen vegetables as well. I always make sure I have fresh bananas, carrots, and lettuce on hand for the smoothies, too. Whenever our budget allows it, I will purchase a wide variety of fresh fruits and vegetable, but since this can not always be an option, frozen works great. Making the smoothies is very simple. For about two 8oz servings, I use about ½ cup of water, orange juice, or tomato juice. Depending on how thick you would like your smoothies, the amount of liquid will need to be adjusted. I normally add in at least 1 fresh banana, a few peeled baby carrots, and a hand full of fresh lettuce or spinach. I alternate between fresh or frozen berries, tropical fruits, and the usual fruits like peaches, apples, and grapes. I simply throw everything in the blender or food processor. If you choose to use all fresh fruits and vegetables, you will need to add ice to create the frozen treat. The smoothies are extremely quick and easy to make. They are not only a great way for children to get the nutrients they need, but for the entire family benefits as well. It is a great option for picky eaters. If you are lucky, you may even be able to pass it off as ice cream like I have been so graciously able to do with my children.